The Packard Automotive Plant in Detroit, Mich. has been, and still is, a symbol of the tumultuous times currently facing the Motor City. The complex closed in 1958, though numerous other businesses operated on the premise until the 1990s. 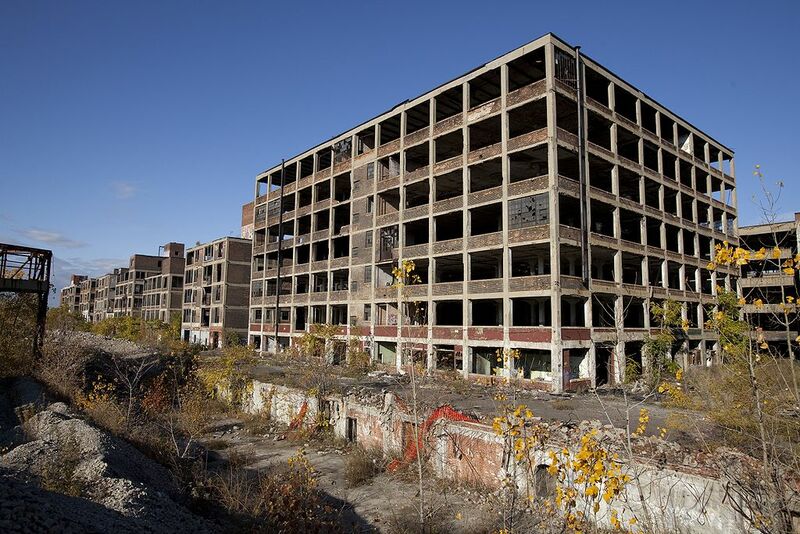 In an attempt to clean up the 3,500,000-square-foot plant and the 40 acres of land the plant is situated on, the city of Detroit has auctioned off the plant to the highest bidder. Two previous bidders have fallen through on their promise of closing the deal, and now Peru-based developer Fernando Palazuelo is the current prospective buyer. He hopes to have the deal finalized in the coming weeks and has ambitious plans for the property. In an interview with The Detroit Free Press, Palazuelo said that he plans to approach the Detroit Three automakers seeking supply companies that may want to open in a remodeled version of the plant in return for free rent. Palazuelo also plans on building an upscale go-kart track on the property as well and even teased the idea of a motor-racing track fit for professional competitions. Palazuelo has already wired the down payment for the plant: 10% or $405,000. He has until Dec. 18 to pay the remaining balance. Palazuelo believes it will take 10 to 15 years to complete the projects he has in mind for the plant. This entry was posted in Uncategorized and tagged Detroit, Detroit Michigan, Motor City, Packard, Plight, Poor on November 29, 2013 by Bryan Nguyen. With the increasing prevalence of smartphones, there has been an increase in drivers using them while they drive. Not only is this dangerous, but it has prompted automakers to push an influx of new technology into the car that attempts to limit driver distraction. At the request of automakers, the National Highway Transportation Safety Administration (NHTSA) plans to issue voluntary guidelines for how smartphones can interact with vehicles. NHTSA Administrator David Strickland said the agency believes it has the authority under the Motor Vehicle Safety Act to issue these guidelines. Automakers are concerned that if the guidelines are too limiting, consumers may forgo using in-vehicle applications and resort to using their smartphones instead. “It is an evolving area of technology. We believe that guidelines gives us the ability to find the margin of safety and still keep innovation…We believe these systems have the ability to provide comfort, information, entertainment as long as they are done in a safe way,” Strickland said in an interview with The Detroit News. Rep. Tom Petri, (R-Wis.), who oversees the committee that held the hearing on autonomous vehicles Tuesday, said he was concerned the NHTSA may take “too broad an approach” in issuing its guidelines, which are expected sometime next year. Strickland said the goal would be to develop technology that would bar drivers from using a handheld phone unless it was paired with the vehicle to make hands-free calls. This entry was posted in Uncategorized and tagged national highway transportation safety administration, nhtsa, regulation, smartphones on November 25, 2013 by Bryan Nguyen. Drivers get extra lane during rush hour. Just another amazing way that modern technology is making our lives better.. one little bit at a time. This entry was posted in Uncategorized on November 18, 2013 by Bryan Nguyen.